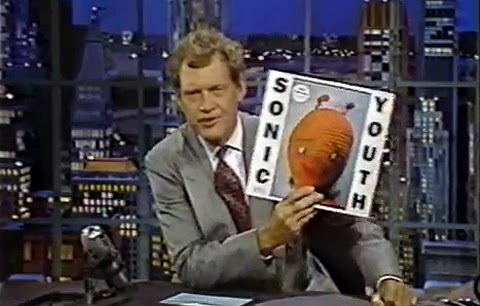 Letterman was too cool for the Tonight Show. He might have wanted it bad, but in the end, like Conan later, he's better off without it and one of the main points that proves this, is the music. Letterman was always into rock music and metal and he frequently featured many underground acts as musical guests on his program, that other shows like the Tonight Show, which focused mainly on easier to digest mainstream music, pop, soft rock and country, wouldn't dare put on. Dave, the comedian with a perfect sense of sarcasm, mockery and cutting edge humour, was aware of the importance of his place in popular culture and used the power he was given with his show to expose alternative, as well as heavy music to a much wider, wordwide audience.